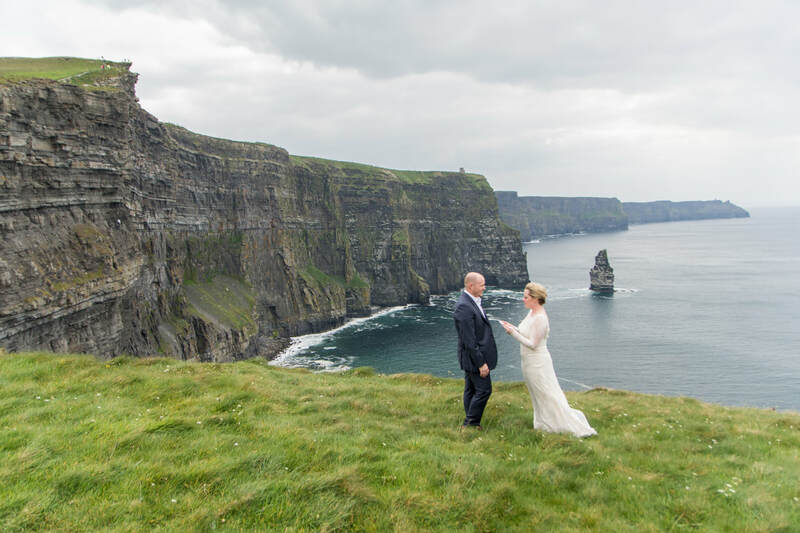 The traditional, oftentimes large Irish wedding isn't for everyone, mindful of this we're happy to offer intimate and elopement wedding photography options for smaller celebrations. Photography coverage: Photography can be arranged on an hourly basis (three hour minimum) with photos presented fully edited in an online gallery. It is hard to guarantee a set number of images in these cases but all your photo requirements and preferences will be met at a minimum. Prints - framed, canvas, etc. a second photographer*, same day edit and slideshow, framed signing portrait, personalised thank you cards, etc.! Do get in touch to discuss your wedding photography requirements ​and total package price.